Unveiled at the American International Toy Fair in New York City, the videogame tie-in for the anticipated animated sequel to Cars has been officially announced by Disney Interactive Studios. 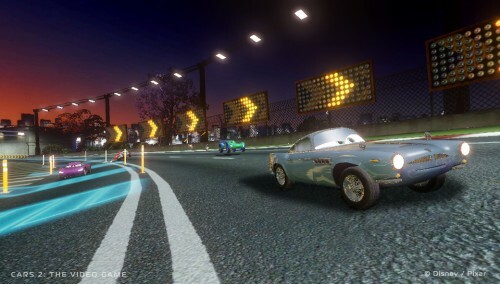 The original Cars film also got a videogame tie-in, so it won’t be the first time characters like Lighning McQueen and Mater have hit our home consoles, only this time there’s a number of new playable characters introduced due to the game following the storyline of the movie. Cars 2: The Video Game will also introduce players to the new addition of CHROME (Command Headquarters for Recon Operations and Motorized Espionage), a training center where the cars learn to become world class spies. It’s all a bit cryptic at the moment and I suppose we will only truly know what it is about when the movie and game are released to get an idea of the storyline. It only implies that it has some adventuring and stealth missions as well as the expected racing elements. It is being developed by Avalanche Software who made the very decent Toy Story 3 game released late last year, so it could be good. 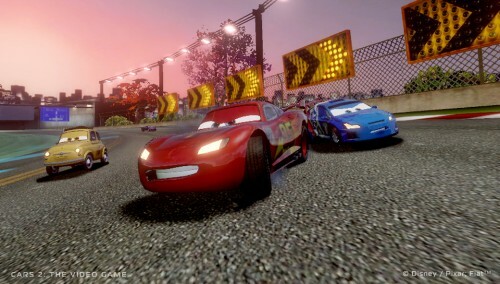 Cars 2: The Video Game is slated for a Winter release this year to coincide with the film, arriving on Xbox 360, PlayStation 3, Wii, DS and PC/Mac.